TAIWAN: TUV SUD will support Taiwan's Metal Industries Research and Development Centre (MIRDC) by running an offshore wind training programme. Training will be designed to inform the Taiwanese offshore industry on how to meet standards for offshore wind components in a bid to accelerate expansion of the sector in Taiwan. 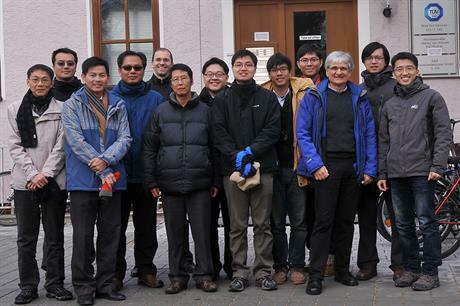 The first technical training for Taiwanese participants of the programme took place at TUV SUD's Regensburg office in Germany. Taiwan is aiming to install 3GW of offshore wind turbines by 2030. Turbine data collection will be carried out by MIRDC. TUV SUD has planned to run the programme for two years in Taiwan and Germany. It is open to Taiwanese authorities, manufacturers and operators. A TUV SUD spokesperson said: "Dealing this deeply with existing international norms and standards has the ability to enormously speed up the expansion of renewable energy capacities." Taiwan Generations Corp is planning to install a two-turbine pilot offshore project in the Taiwan Strait this year, using a European-built turbine. The Fuhai pilot will be the first of three phases to develop an up to 250MW, 52-turbine offshore project eight kilometres off the island's west coast.